This teal/tosca blue bag might not fit the whole look, but nevertheless, I'm so in love with it I just have to wear it today! Must, must, must! I laid my eyes on this gorgeous thing at Stradivarius clothing store at Central Park during their midnite sale several weeks ago, and it was love at the first sight. So, I don't know what happened to me, that I completely forgot to buy it later on and sashaying home without this lovely thing! Weeks gone by, and I was so busy I didn't have the time to make a visit to Central Park or Plaza Indonesia where Stradivarius stores are located. But I did whine to several friends about how much I want this bag, and somehow Santa Claus heard about my wish. So, eventhough it's not Christmas yet, last Sunday a gift arrived at my place - yours truly - in the form of this gorgeousness. Awwwwww!!! So, tell me, how can I NOT craddle it now, matchy or not? 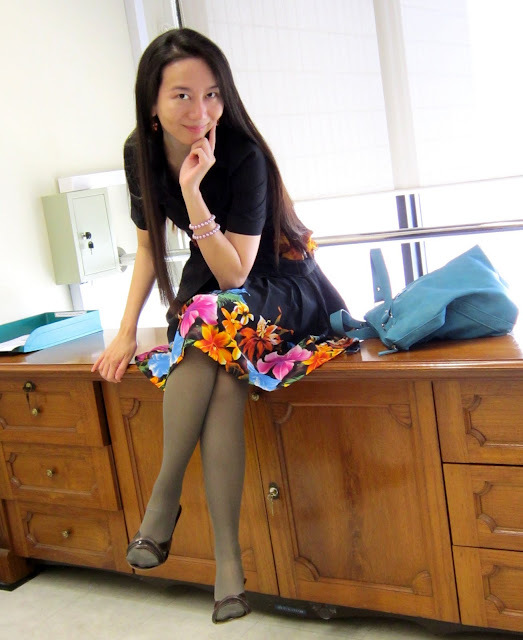 I got this cheerful flowery skirt at Neiman Marcus. And no, it's not as expensive as one might think. Even at upscale deparment stores like Neiman, where most of what they sell are expensive pieces, you can still get some very good deals. I went to The Galleria Houston a lot, and though it's considered a high-end mall, I managed to score some amazing stuffs at steeply reduced prices. 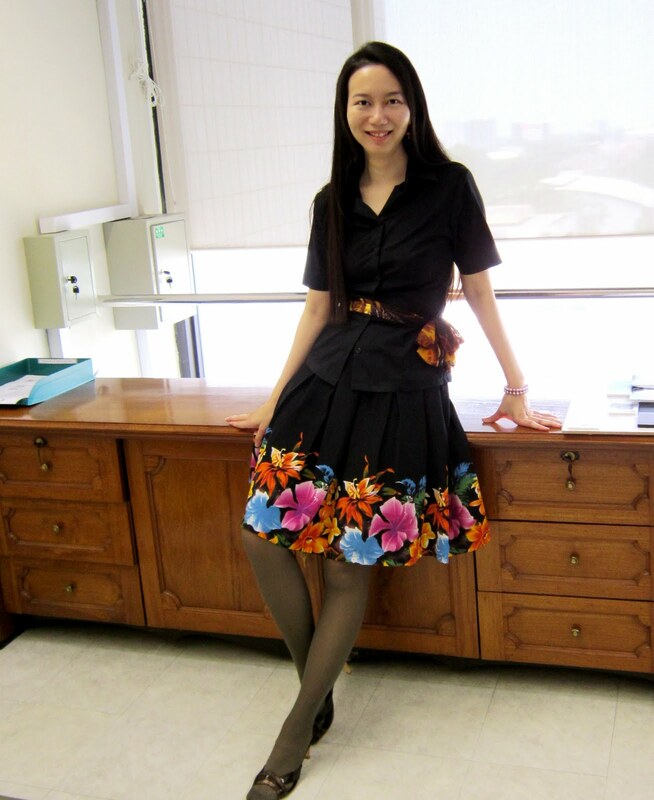 Black shirt: my previous office uniform by Invio. Skirt: Anna Perenna. Silk scarf: tailored. 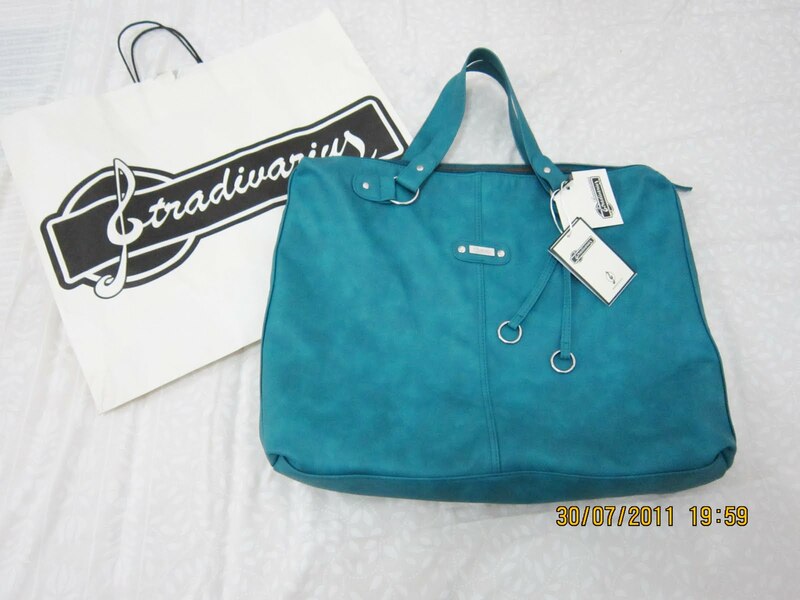 Teal blue bag: Stradivarius. Copper colored shoes: Yongki Komaladi. 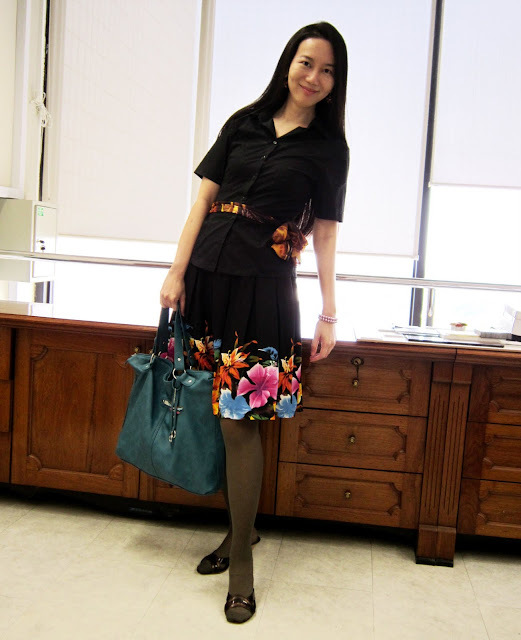 I love tosca blu handbags! 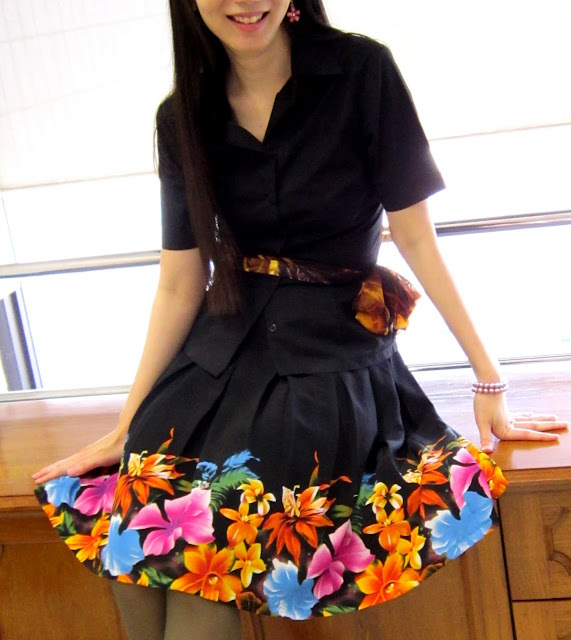 What a cute skirt, it totally makes me want to book a trip out to Hawaii! Cute skirt! 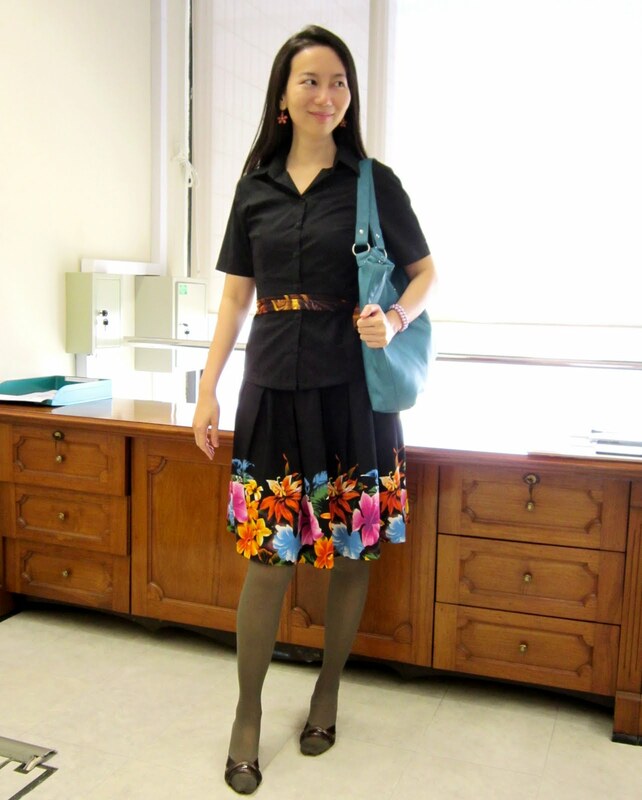 I love that your outfit looks like a dress! Thank You (Not) Very Matched!